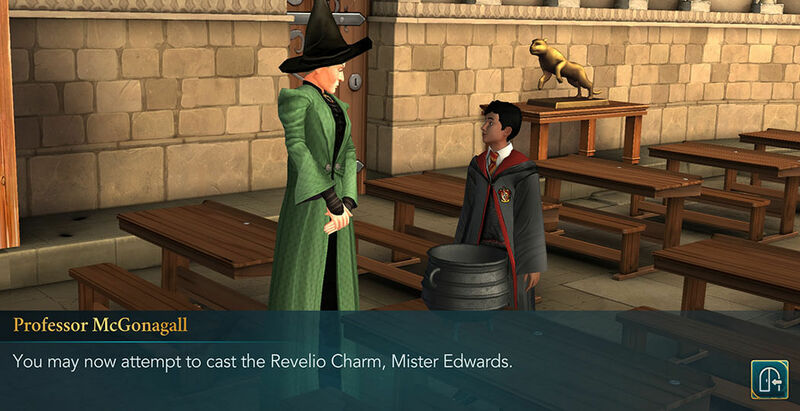 The Revelio Charm is not commonly taught in the second year, as it is considered too difficult for young witches and wizards. 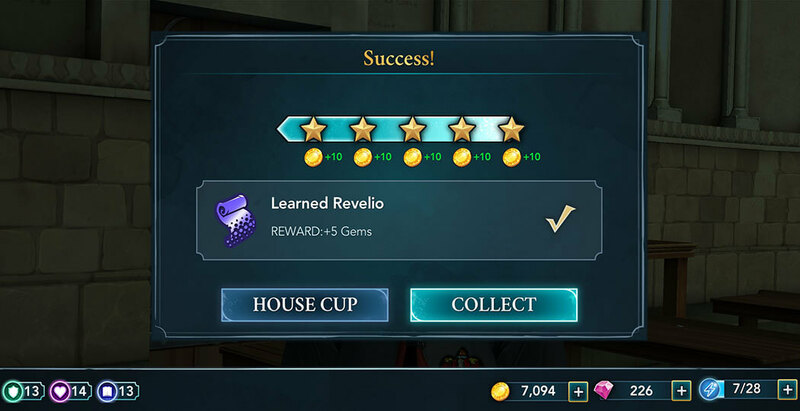 However, since you proved yourself to Professor McGonagall in her Transfiguration classes she offered you advanced lessons. Count yourself lucky, not all of the students have this honor. Transfiguration charms are all about appearances. This one, in particular, reveals the true form of things or makes the invisible visible again. 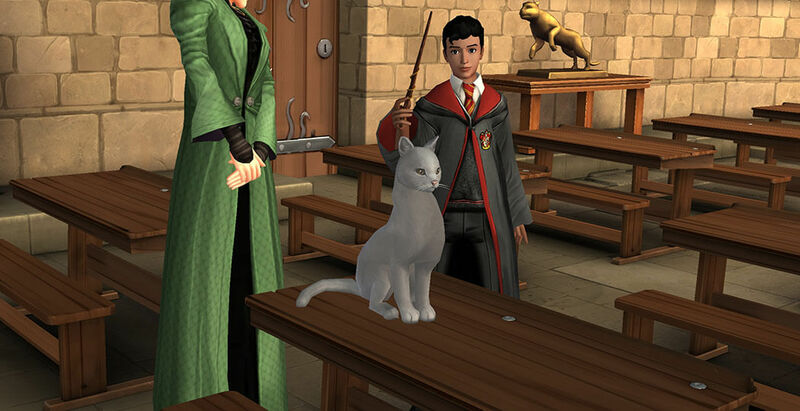 You can use it to locate objects that are hidden or appear as something else due to transfiguration. Considering you are alone in the classroom this time, the learning process will go much faster. 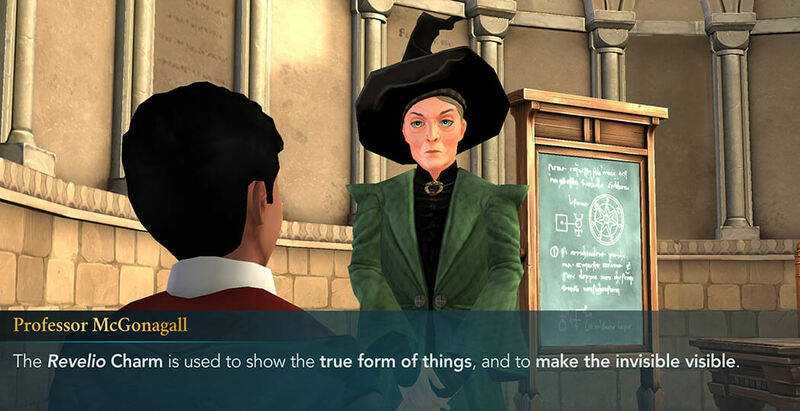 Professor McGonagall can focus all of her teaching on you thus making it more efficient. Thankfully, you are a prominent wizard as well and pick up on this difficult lesson in no time. Before you know it, she will have you casting the spell. The wand movement for this one is quite easy to remember. 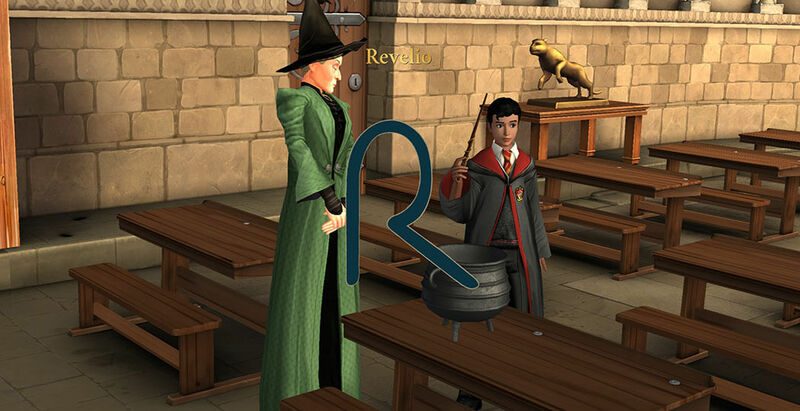 It’s the shape of an R, as in Revelio. Congratulations, you’ve just mastered the Revelio Charm. 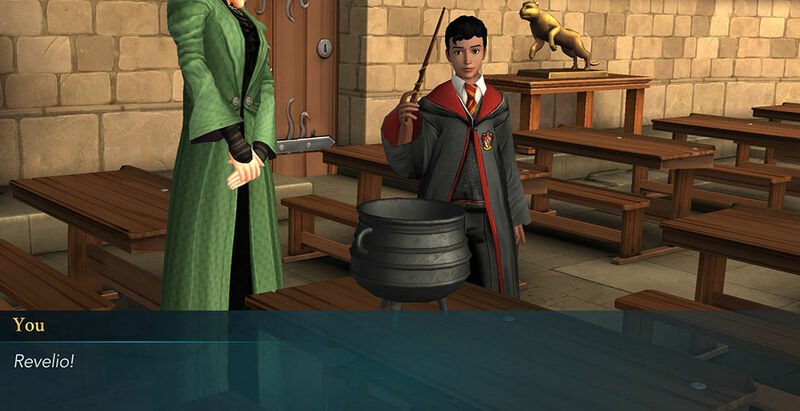 Perhaps Hogwarts will no longer be as mysterious as it used to be. If only all of the lessons were private ones, the entire process would be a lot faster. But, the other witches and wizards have to learn as well, right?